Plus, keep scrolling to see our 12 infinity scarf sewing patterns! Scarves are so infinitely versatile: you can wear them as a light, fun accessory in the summer, or you can use them to warm up in the winter. You can even tie one to your purse strap to make a trendy statement. Whether you like to wear them to spice up your outfit or for the more practical purpose of keeping cozy, knowing how to make a scarf will come in so handy! With these 36 Ways to Learn How to Sew a Scarf, you'll learn how to make a fleece scarf, how to make a ruffled scarf, how to make scarf fringe, and so many other scarf sewing tips and tricks. Our collection of DIY scarf tutorials includes a variety of scarves in all different shapes, sizes, and fabrics. Making a scarf is actually super easy, and even more so with our how-to's, so you'll be able to fill your closet with many kinds of scarves in no time at all. Don't forget to check out our collection of infinity scarf sewing patterns. This ever-popular style can be worn so many different ways, so make sure to try your hand at one of the cute free scarf patterns below! Want to know how to sew a scarf? Use this sewing tutorial to make a simple winter accessory with an unexpected detail. 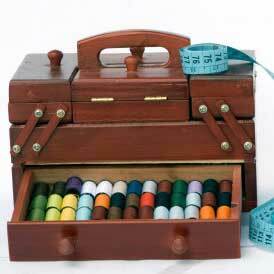 Sewing tutorials dom't get any easier than this! Take all the extra trimmings you have in your stash and make your own scarf with this free sewing project. Finally, a use for all those mate-less socks! When the dryer eats one of your socks, use the leftover one to make these funky gloves and scarf with this free, easy sewing pattern. Getting back at the dryer has never been easier! This knit scarf is a simple way to keep warm in the cold weather. Learn how to sew a scarf with fabric strip details with this sewing tutorial. Learn how to sew a scarf out of fleece material, including the adorable fringe. This scarf is sure to get you noticed even in the dead of winter. Turn a t-shirt into a warm winter accessory with this free sewing project. This scarf is both trendy and eco-friendly! This sewing tutorial is great all year round. It'll remind you of those warm months during even the coldest days, plus it's cute and functional! Learn how to sew a chiffon scarf with fringed ends. This tutorial includes helpful tips for how to sew narrow hems on sheer fabric. This is by far the easiest scarf pattern you'll find. All you need is a yard of double gauze and some lace to make this gorgeous, lightweight scarf, perfect for wearing tucked into a jacket. Bundle up in this charming scarf pattern inspired by East Coaster winter weather. Big and bulky blanket scarf patterns are the idea way to pack some cuddles into your everyday wardobe. This double-sided wonder does double duty, making it easy to match to your winter wardrobe. Sewing a scarf like this one is a perfect opportunity to create a gift for yourself or the special man in your life. It's not difficult to sew a scarf, especially with this top notch tutorial! Learn how to make a scarf that's trendy, easy, and, best of all, warm. The perfect accessory for your winterwear, this DIY scarf will keep you warm and cozy. This free scarf pattern is perfect for those cold days when you just want to burrow into your jacket. Try a scarf that's more like a shawl. Here's an interesting take on an easy scarf pattern. Once you know how to make a scarf, it's time to embellish! Jazz up your favorite homemade accessory with these neat ideas. Winter is the perfect time to bundle up in something festive and cozy. Learn how to sew a scarf with this holiday-themed project. You can get the same look as one of the beautiful collections at Target for a lot less! You'll only need half a yard of cotton fabric, some embroidery floss, a sewing machine and other basic sewing tools for this easy scarf pattern. Put your refashioning skills to good use by teaching yourself how to sew a scarf from material you already have on hand. Refashioning projects are fun and thrifty! It's not tricky to sew a scarf with instructions like these. You'll end up with an accessory that transforms for every occasion. When the weather gets tough, you'll be glad you took the time to create this scarf. The infinity-style scarf creates a bubble of warmth around your face and neck, and the reversible pattern makes for easy mix-and-match. Learn how to make a scarf in minutes with this too-cute idea. This DIY scarf is super easy to make, uses a quarter-yard of fabric, and takes less than an hour from start to finish. Turn a few yards of pretty printed chiffon into a designer-inspired scarf with a chic bohemian edge. This tutorial comes with a simple, printable diagram, and it's a quick sewing project that you can complete in an hour or two. This comfortable and classy pattern is a go-to accessory in any closet. Using 18 color-coordinated fat quarters of fabric, this easy scarf pattern is guaranteed to look like a professional designer sewed it. Learn how to make a scarf that's insanely on trend and chic. This free sewing tutorial shows you how to use your leftover yarn to create a traditional sashiko stitch, which originated in the mountains of Japan during the 17th century. Create a lovely addition to your typical cold-weather outfit by learning how to sew a scarf like this one. Learn how to make an infinity scarf that looks just as cozy and cool as the scarves you buy in the store. Learn how to sew a scarf for the warmer months! Whether you're looking to learn how to make a scarf for the summer, fall, winter, or spring, you can easily transform this sewn scarf pattern into the season-appropriate piece. Learning how to sew a scarf is worth it when you make the tutorial yields this gorgeous accessory. This silk scarf is amazingly easy to make and will keep you looking fabulous even in the coldest winter months. Make your own fleece infinity scarf with this easy tutorial and a single piece of fleece. Easy enough for beginners and oh-so-snuggly—perfect for a long cold winter! This gorgeous scarf looks like it came from a trendy boutique, but it won't cost you a fortune. If you're looking for a special piece or just need something new to wear out on the town, this is a great lazy afternoon pattern. This bright scarf is the perfect finishing touch of a casual, yet elegant outfit. This accessory is easy to sew, and it'll instantly add a touch of color to any ensemble. Add a touch of sophistication with this DIY scarf. This fashionable scarf craft will turn everyone's heads as you walk down the street. Make use of your old sweaters by turning them into this DIY infinity scarf. The striped color block pattern of this scarf gives you plenty of flexibility in terms of your outfit, so you'll look great no matter how bundled up you are. You'll turn heads with this gorgeous, unique scarf. This pretty pattern is nature's answer to cold weather and creature comfort. Learn how to sew a scarf that's seriously feminine with this pretty pattern and tutorial. This understated scarf pattern is gorgeous and sure to dress up your favorite outfit. Learn how to sew an accessory that allows you to take your favorite love story with you wherever you go. This tutorial will give you the tools to learn how to make an accessory you can wear with practically anything with just a couple yards of fabric and about an hour of your time. This pattern has the luxe look and feel of a high-quality designer scarf, only without the cost. The color blocking is very fashionable, while the braided design makes this DIY scarf pattern look like it came directly from the department store. I'm searching for a pattern to make an infinity scarf with the hidden zippered pocket for phone, keys, money ect,,, I saw it on Good Morning America @ sholdit.com. I can only find them already made and for sale. Such as sholdit.com Thank you! Settle1227 - me too! Did you ever find the pattern? I have tried several times to access the "Winter Ruffle Scarf" #10 on this scarf list and have been unable to get it to come up so I might add it to my patterns collection. Please help !! !